I’ve been a train driver before you know? Oh yeah, I can tell the difference between a standard Class 166 GWG and the stubborn workhorse that is the Class 66 DBS. I can switch between my train duties with the ability of a young gazelle, and the proudness of a man who loves his job. Yes, there have been difficulties, I’ve fallen onto the track more times than I care to remember, have been late delivering passengers, and I’ve run a lot of red signals. But I have a lot of heart, a willingness to do better and a promise that I will get my train from Paddington to Reading in the snow, wind or hail – at least with some heartfelt apologies. As you can tell I’ve been playing a lot of Train Sim World. 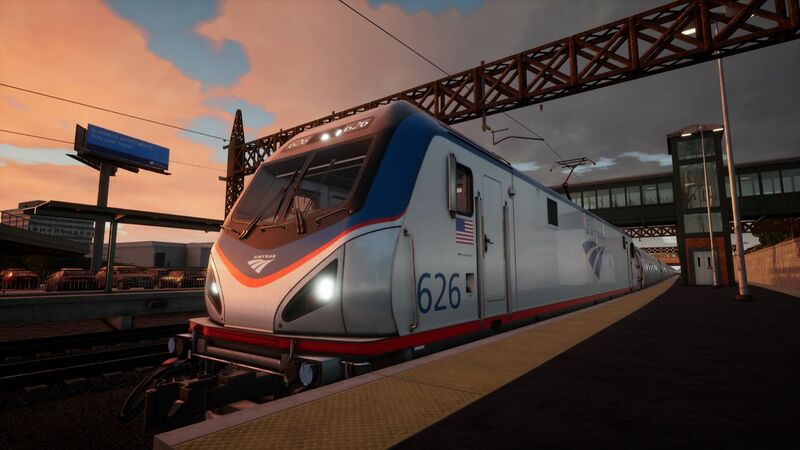 The first stage of this game’s life on console came in the form of the Founders Edition, like a sort of starter to the main event that is Train Sim World. You could spend time with the Great Western section of the game, including the Paddington to Reading line, with scenarios to take in and a full service set available for those who wanted to go deep. But now here we are with the full game and it’s all gone global. So worldwide in fact that you have numerous sections available; that found in England, an American train section in New York, and Germany’s S Bahn railway. But how does the extra content play out? Well for train fans and experts alike this game is a dream come true. You’ve got an in-depth and fully detailed cabin and train experience over three countries with a tutorial on how to drive these great beasts of machines. For the newcomer and the layman there is a lot to remember at first, but thank the train gods because there are helpful voices to indicate what buttons you need to press and in what order. The problem I always have though is I can follow the complicated systems to get the train moving, but I don’t ever fully understand the mechanics of why I’m pressing these buttons. So when it goes wrong, you can generally find me at the side of a track stalling my train. I probably won’t know what the general problem is, so it takes pressing random buttons in a blind panic before the power comes back to life. But enough of my ineptitude, what modes are on offer for us captains of the railways? The best way to start your career is to choose a country from the Scenario mode. I would recommend starting in Germany as I found the train there with the Rapid Transit the easiest to get to grips with. There you might be left with a simple task like just getting on a train, driving a route and making sure everything goes swimmingly on time… and that the train doesn’t catch on fire. 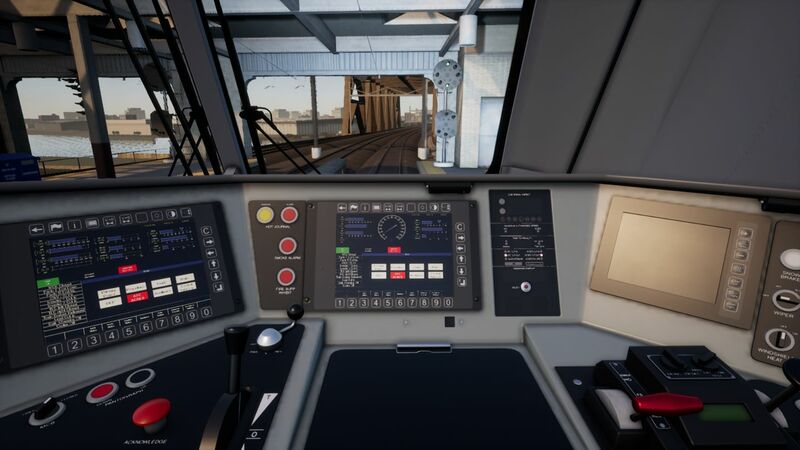 It’s all simple stuff; you sit in the driver’s cab and – with a lot of button pressing – start up the train, unlock the doors, wait for the passengers to board and off you go. When you’re on the move you have to watch your speed limit and keep an eye out for red signals, but apart from that you can look at the moving countryside and try to spot where you live. Pulling up to stations safely and letting passengers on and off, is pretty much the life of a train driver in this game. You don’t have to deal with striking, or staff shortages or budget cuts to the railway, but everything else is as realistic as possible. See, if you get a journey that takes 40 minutes to go from A to B, then it’s going to take you that in real life – so put some music on and enjoy the ride. For me, because I’ve become strangely obsessed with this game, it doesn’t go far enough. I want to do the Edinburgh to London 5 hour journey, or play with the fastest trains across more parts of the country. But hey, that’s what content add-ons are for. You can also be a passenger if you want, gazing out of the window whilst you chug along… but why you would want to do that without a phone or a book is beyond me. Train Sim World all looks fine in the visual department. In fact, I really like the look of Germany, and the Paddington to Reading line covered in snow warms my heart somewhat. Stations are strangely underpopulated though and you do find the passengers seem to consist of a lot of twins and replication. The inside of the cab is very detailed mind, and you can see a lot of research has gone into the design of these. The outside world is pleasant enough and it looks good without being outstanding. Sound-wise and we are treated to some nice clear voice-over tutorials in their respective accents. Apart from the main menu track, there is no music to be had in-game, so this is where you’ll want to bring your own. The other effects – those of the trains – are all very good and I’m sure very authentic, but without checking my tatty notebook, I can’t confirm or deny that. I think you can tell straight away whether you’re going to like Train Sim World or not. 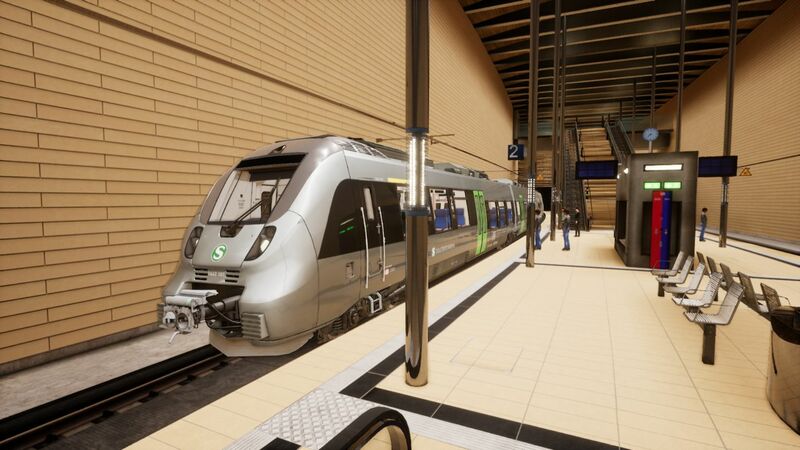 If you like trains and sims, then yes you’re are going to have a ball with this. I’m not a train guy, but I’ve found the whole experience strangely compulsive. If you want to pretend to be a train driver with all the bells on then this is the game for you, but if not, then well I’m not sure what’s here for you. As much as I have enjoyed it though, I really want to come back to my life as a train driver when the entire country network is on display, if only so I can spend time looking out of the window and trying to spot my house. But for now I have good memories of my career on the rails, and I promise I will never be late for anything ever again. Previous articleDigimon Survive announced for Xbox One, Switch, PS4 and PC Western release!